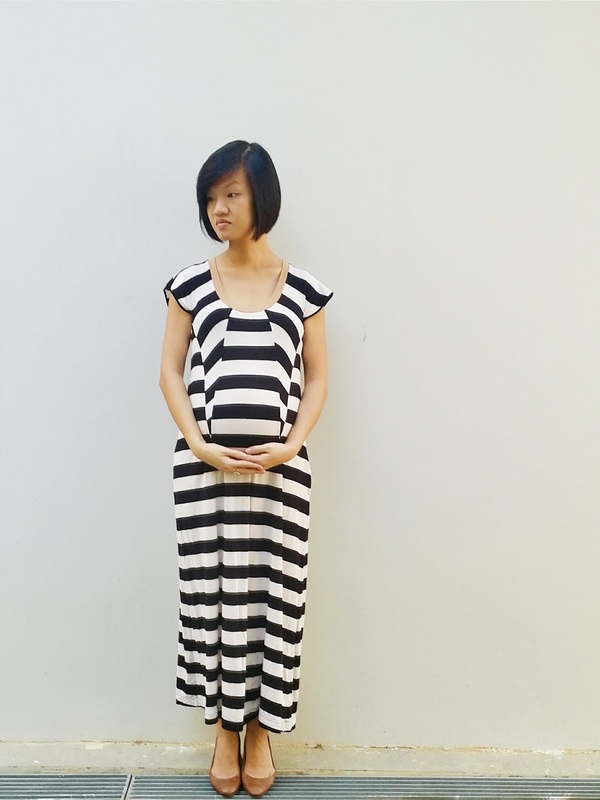 This edition of baby bumps is significant, because it marks to start of the third and final trimester. What a journey of humility and gratitude it has already been. We continue to thank you all for your love for humblet. Little humblet is not so little anymore. She weighs slightly more than a kilo. According to the doc, her thighs are significantly longer than average. Well at least that explains the whooping kungfu kicks to my ribs. Experienced friends tell me it will only get more painful. Right. Roger that. Dislikes? Strong smells in general put me off. The smells I use to love such as stir-fried garlic / onions now really turn me away. Although the taste doesn't at all. Accidentally allowed a fever to turn into a full blown flu. It's pretty exhausting to be sick without being to take strong medicines that will just knock me out. But also I'm learning how to fight this nasty cold naturally with home remedies like high vitamin C fruits (kiwi!) and warm honey lemon. Surprisingly, they seem to be working. The very dedicated father-to-be has completed both the set up of the cot as well as the drawers. Now what we need is to get a suitable sized mattress for the thing. Also sorting out smaller knick-knacks like towels, bottles, containers etc. Nightly 'live-action' shows with humblet. At around nine in the evening, every night now, she does this spectacular show of kicks, punches and knee thrusts. Feeling it might not be all that great, but simply watching her active and healthy is truly the best part. As her arrival nears, we are both excited and apprehensive all at once. As I mentioned in my previous post, no one can ever be ready because every experience is different. But we continue to rely on wise words from parents / grandparents who have gone before us, comforted that we can also borrow their strength in the trying times and that they will share our joy in those wonderful moments.